In this modern and enlightened age of communicative language teaching and comprehensible input, translation is not often advocated as the key to learning foreign languages. And rightly so. However, that doesn’t mean that translation is useless, or that moderate amounts of it can’t be beneficial. 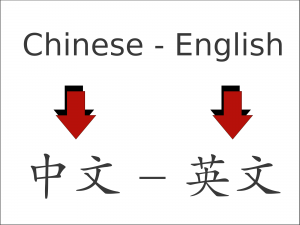 When I talk about translation as a learning method, I’m including both translation from Chinese to your native language, and from your native language to Chinese. These are obviously completely different activities that can be beneficial in different ways, but more about that later; I just want to make it clear that both are part of this month’s learning challenge. Please note: The challenge starts on December 10th, so even if you can join right now, you won’t be able to report progress until then. In a sense, this is what most students do inadvertently when they start learning. 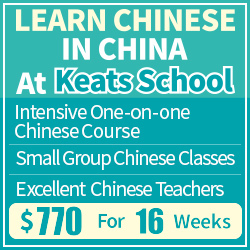 You begin with an idea phrased in your native language, and you want to figure out how to say or write that in Chinese. If you are at this stage of learning, you shouldn’t deliberately try to spend more time translating, so either focus on translating to your native language (below) or skip this challenge entirely. 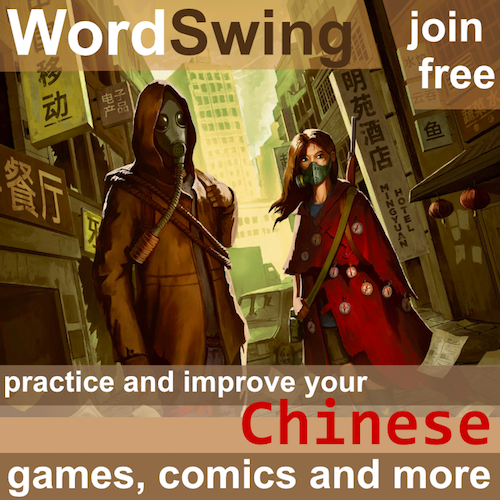 I think the main benefit of translating to Chinese, compared with writing in Chinese directly, is that it tends to broaden your horizons by forcing you down along linguistic routes you haven’t travelled before. When writing for pleasure, most of us will write similar texts. When writing with a specific purpose in mind, such as for work, the topics and settings tend to be similar as well. Translation allows you to practise expressing things in Chinese you wouldn’t otherwise come across very often. When you write your own texts, it’s easy to steer away from things you find difficult to express. I’m convinced this happens on a subconscious level, at least partially. This is closer to the traditional grammar-translation method for teaching languages, which used to hold sway in foreign language teaching before practical communicating in the target language became the goal. However, just because relying mainly on translation is not a good method if your goal is to learn to speak fluently, that doesn’t mean that the method should never be used. We shouldn’t throw the baby out with the bathwater. Translation from Chinese is in essence a very active form of reading. Normally, we’re happy with a superficial understanding of the texts we read; most teachers, including myself, recommend students to not look everything up and to be okay with a high but not perfect degree of understanding. Translation challenges that and forces you to really understand what you’re reading to be able to translate it. This usually involves reading the same sentence many times, which is something rarely done normally if we think we kind of understood the first time. In a way, translation is a way to stop you from hiding behind words vaguely understood. Sometimes when you speak and write Chinese, you can get away with a non-perfect understanding of what something means; you just need to know that it can be used in that way. In other words, you can say things that are correct because you’ve heard someone say it, but it might not actually mean exactly what you think it means. Therefore, I find lessons that focus on translation to the students’ native language interesting because it allows us to discuss what things really mean. 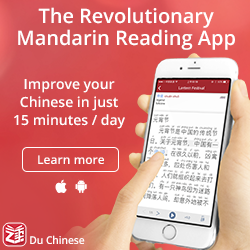 This can indeed be done in Chinese too, but the level required to do so accurately is many times higher than that required to just understand the text in the first place. Even if the discussion itself is in Chinese, translation can still be very interesting when you dig deeper into the differences and similarities between languages. 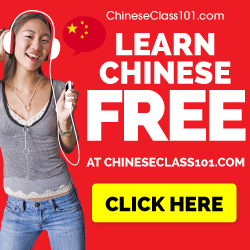 Discussing various ways of translating Chinese to other languages is always most interesting when done in a group, preferably one consisting of native speakers of both languages. I realise that this is not easy for most participants in the challenge to find, but teaming up with one Chinese-speaking friend is enough. You will both learn a lot from this experience! This year is coming to an end and it’s time to draft a schedule for the challenges in 2019. The likelihood is that the challenges will continue roughly as they have done in the second half of this year. I experimented with having an open challenge each month, but found it difficulty to administer. I also believe that too many challenges decreases the interest and motivation for each challenge. What do you think? Are you happy they way it is now or would you want some changes to be made in 2019?